When I did some poking around [Discogs didn’t exist yet, but Bowie’s discography was fairly widespread on the web even in 1999], I discovered that now that I was actually contemplating buying copies of “Let’s Dance,” “Tonight,” and “Never Let Me Down,” there were definitely optimal copies to be buying, if I had to. In 1995, Virgin had remastered the three of them with added bonus tracks, so in the case of the first two, I opted to buy those. I think I got them on eBay. With “Never Let Me Down,” there were added tracks but also, one song had been struck from the disc and thrown down the memory hole. For that reason, I opted for the original version, so not to be too revisionist. If I would miss some B-sides and a soundtrack song, so be it. In short notice, I was finally listening to the albums I had taken great pains to avoid. As it turned out, I had been wise. Having heard the singles from “Let’s Dance,” little had I known, that that was as good as it got. The title track still sounded like a Leni Rifenstahl inspired sonic bludgeon, and the album version [also on 12″] reeked of padding. “Modern Love” had lyrics that made me thing what was the song really about, which was as good as it got, here. The “deep cuts” on this shallow album were meretricious in the extreme. There were weak covers of songs by Metro and David Bowie/Giorgio Moroder, and everything else was even worse. “Shake It” and “Without You” inspired the rising of bile and “Ricochet” was the sound of David Bowie disastrously attempting to pastiche himself. An act he would come to perfect to a nauseating conclusion on “Never Let Me Down.” In this context, the single bonus track, “Under Pressure” with Queen, sounded like genius… and I hate Queen. The going got even tougher when I clapped ears on Bowie’s cynical, fraudulent followup to “Let’s Dance.” I had not been convinced by the trifling pop of “Blue Jean” and thought that “Loving The Alien” was sending me mixed signals. It could have been a great Bowie song at one point in his career; just not in the “double-breasted dumbness of the mid-80s.” These singles were definitely the skyscraping high points on an album that had a Beach Boys cover that managed to make his ill-conceived stab at “Across The Universe” seem not to bad in retrospect. If you liked “China Girl” why not 3-4 more Iggy Pop covers? This exercise was ghastly in the extreme. The bonus tracks provided an honest-to-goodness gold nugget in “This Is Not America.” It was by far the best tune he penned in that decade. This was counterbalanced by including the Diane Warren Memorial Songwriting Contest® Winner for 1986 with the toxic saccharine trifle of “As The World Falls Down.” As I had studiously avoided the “Labyrinth” OST, I felt betrayed by the song’s inclusion here. The eight minute title track from the “Absolute Beginners” OST fell somewhere in between. It would not make me forget the superior Jam single of 1981, and it went on for far too long to little overall effect, but neither did it make me want to puncture my eardrums with a pencil, and this was the time in popular music when the temptation was mighty. 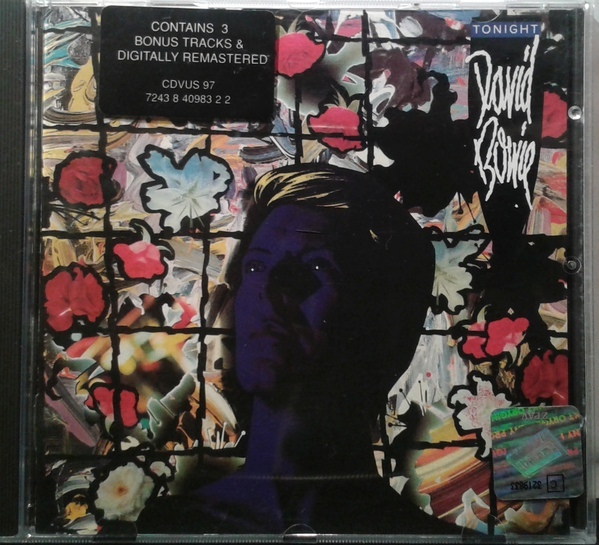 This entry was posted in Bowie, Core Collection and tagged 1983, 1984, 1995, David Bowie, DLX RM, Let's Dance, Tonight. Bookmark the permalink. From your views on the 80s Bowie catalog, I assumed you were at least five years older than I am, but we’re contemporaries and I think you may even be a year younger than I am. Let’s Dance was probably the first Bowie song I heard, was definitely the first album I owned. I could see that Tonight was a drop off in quality (I still enjoyed it), but I was just not interested any more by the time Never Let Me Down came out. I bought that 1984 RCA comp right after Let’s Dance and that was as far back as I went until the Ryko box set and a couple of the remasters which followed. It could be that Bowie was just never my primary musical interest. When he died, I realized I only had those three eighties cassettes, the Ryko box, Aladdin Sane, Ziggy Stardust and the Ryko ChangesBowie–pretty pitiful! I’m a little embarrassed. Oh–and The Next Day. I love that album. It started me thinking about what I missed in the nineties and 2000s. I haven’t made it that far yet–in the last couple months I’ve picked up Scary Monsters (been wanting that one for 20 years, but somehow never bought it) and the Berlin albums, so I’m making up for lost time. I rather like Blackstar, too. Anyway, I’ve enjoyed reading your series of Bowie posts and will continue to read. I’m jealous that you saw Bowie live! There are a lot of heavy-hitters I never saw live like REM, U2, Nirvana, The Police, but at least I saw The Wonder Stuff, amIright? Jon – I too, have seen The Wonder Stuff! On at least two U.S. tours, too! Nothing against The Wonder Stuff, of course–it was the first relatively lightweight band I could think of–lightweight in comparison to Bowie, etc. I should’ve said 4 Non-Blondes. But in my defense, that was not by choice–they filled in as opener on Bob Mould’s Black Sheets of Rain tour when Ultra Vivid Scene broke up. Jon J – I thought you were actually making a case for The Wonder Stuff. A band well represented in my Record Cell. A good friend was nuts for them, so a certain amount of fandom rubbed off through osmosis. Ok, so I have always thought Shake It was an “ungerminated seed” that Let’s Dance was built on. In fact in another astral plain, Shake It might have started as an idea as far back as Lodger, or even Young Americans, but it has “The Hand Of Nile” imprinted all over the final product on Let’s Dance – another what if moment in the work of David Bowie from the 1980s. I agree with your assessment of Loving The Alien as well. Imagine if it had appeared just two albums earlier. I’ve always felt it had some relationship to the Major Tom songs, even if Bowie has never related it to them. When it comes to Never Let Me Down, I just get a bit depressed by how “let down” I actually was. It is most certainly the least played of all of Bowie’s Canon in my collection. It has no soul, no teeth, no real point of view. It’s the sound of an artist stuck that may not really recognize how stuck he really is. 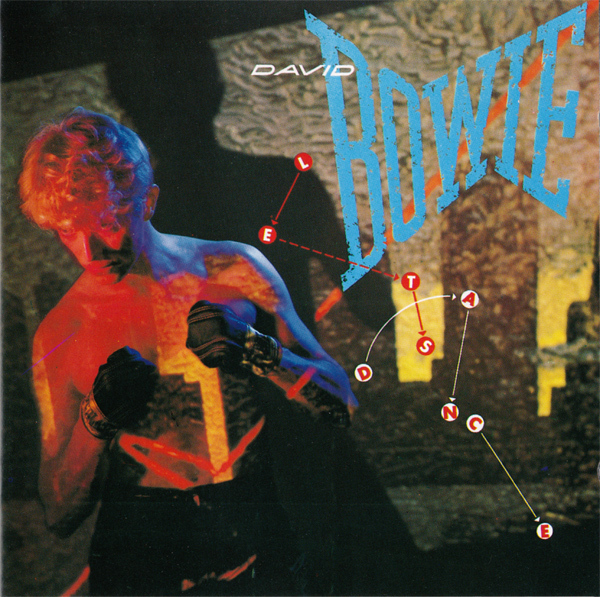 This Is Not America – Bowie’s best song of the 1980s…I will only disagree with you but for one song and that is the soundtrack version of Cat People (Putting Out Fires). Echorich – Okay, I cede to your citation of the original “Cat People” as superior; ever so slightly! I would not doubt that “Shake It” may have its seeds in an earlier decade. 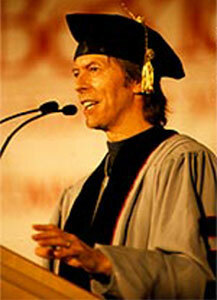 Bowie was known for working that action until it was ready… or until he no longer had any good judgement left. Your mileage may vary. As far as “Never Let Me Down,” does it not contain the most cringe-worthy lyric the Thin White one ever laid to paper? “Disco brat, follow the pack…” Arrrrggghh!!!! That quote says it all Monk… As a consideration on best track of the 80s for Mr. Bowie, there are lots of people who don’t agree with us on the beauty and success of This Is Not America. I was always in a minority when stating I love that track. I will give you that as great s Cat People is, it isn’t the best recorded track in its Moroder produced form. I have never been completely happy with the damp production that was chosen. Unless you play it really loud, which I always do, it can underwhelm. chasinvictoria – I think that “God Only Knows” is a musical trap that Brian Wilson set for the unwary, and Bowie, at the height of his cluelessness, blundered straight into.